Can you imagine a world without dreadnought acoustic guitars? It seems like an impossible exercise given the way the Martin dreadnought has become interwoven with the musicological fabric of America. But until Christian Fredericks Martin built the first large-bodied acoustic with a spruce top and mahogany back and sides in 1916, there was no such thing as a dreadnought! Named for the largest, most fearsome battleship in the world at the time (the H.M.S. Dreadnought), the original examples were commissioned by a publishing house in Boston called the Oliver Ditson Company, and they were marketed as Ditsons with non-Martin serial numbers in New York and Boston only. Once C.F. Martin realized that this whole dreadnought thing was going to take off, he started stamping his own name on the headstock of a guitar called the D-1 in 1931. The D-1 quickly morphed into the D-18, and apart from a few small tweaks to the bracing and the addition of a 14-fret neck, it has remained mostly unchanged ever since. Why fix something so decidedly unbroken? 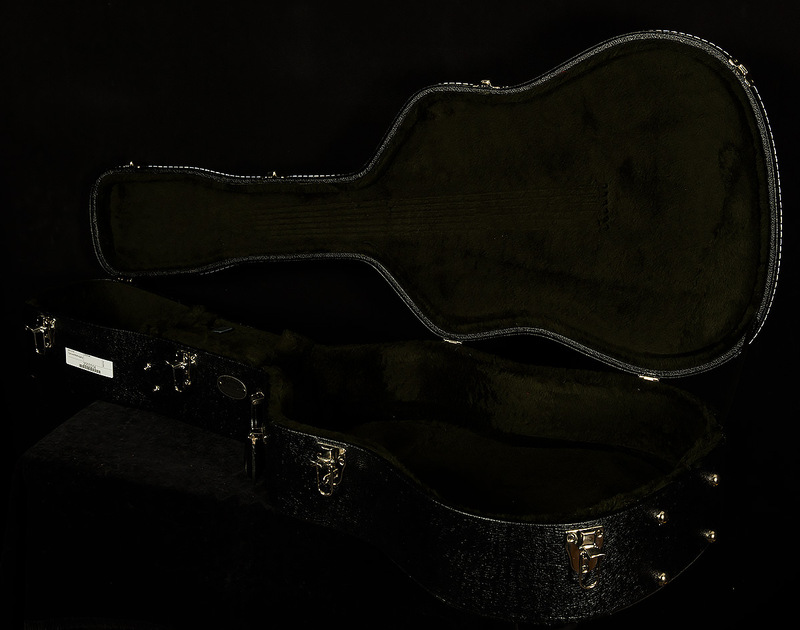 After all, the D-18 has long been a staple at open mics, bluegrass jams, rock shows, and recording studios for a reason: it has a timeless sound that seems to resonate with the heartstrings of any musician who picks one up. Part of this has to do with the D-18’s elegant simplicity. The D-18 formula consists of only a few ingredients: a spruce top, mahogany back and sides, some form of X-bracing, and incredible craftsmanship. Because they still follow this same recipe, modern D-18s don’t really sound much different out of the box than old D-18s did when they were fresh from the factory (sure, they might have had choicer cuts of wood in the ‘30s, but at the end of the day, a D-18 still sounds like a D-18). Other than the guy who invented Nutella (Pietro Ferrero, in case you were curious), can you think of anyone who designed something so perfect the first time around that it didn’t need any improvement? The D-18’s enduring appeal is a testament to the perfection of the original design, and the Wildwood team believes that the modern iteration of this American classic continues the proud tradition of excellence established by its vintage brethren. The modern D-18 comes with quite a pedigree, so let’s take a closer look and see why its sweet sounds continue to delight us! 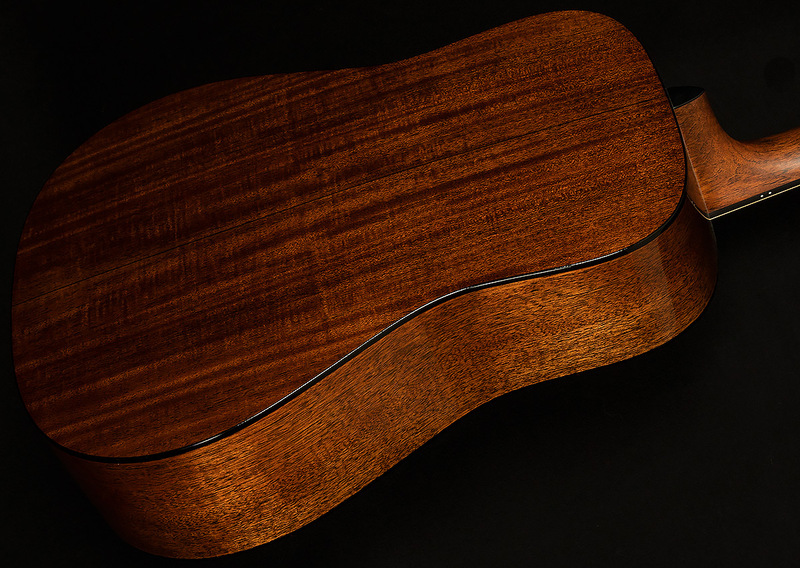 Mahogany and spruce are the backbone of the D-18, and for good reason: they go together like macaroni and cheese, and the tones they produce together are utterly delectable. Why? Well, opposites attract! By itself, spruce is bright and crisp and clear, while mahogany is warm and round. When you put them together, you get a guitar that lands right in the middle of the tonal spectrum. Because of this tonewood pairing, the D-18 sounds clear, and it cuts through a mix like a wooden broadsword, but it never sounds tinny or harsh. It has an undeniable warmth and woodiness in the midrange and an earthiness to the bass response, but it never sounds flubby or muddy. It’s articulate, yet round. It’s touch-sensitive, but it always remains balanced, and though it sounds full and rich, it’s never overpowering. It’s proof that, In the world of guitars (and most things in life, really), when opposites meet in the middle, beautiful things happen. The D-18’s forward-shifted scalloped X-bracing is the next crucial ingredient to its inspiring sound. Now, “forward-shifted scalloped x-bracing” can sound like an intimidating bit of lutherie gobbledygook, so let’s suss out what it means in layman’s terms. 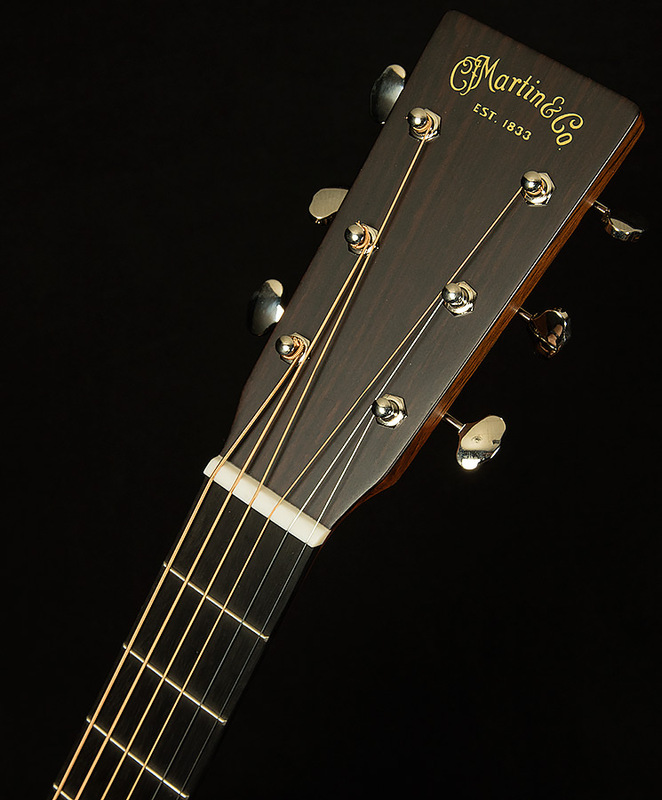 X-bracing is the classic Martin bracing technique, and it was developed to provide greater volume and to make acoustic guitars more stable for players using heavier steel strings. It’s called X-bracing because the two biggest pieces of wood form an “X” underneath the top! When you take this “X” shape and shift it forward about an inch or so, it does wondrous things to the sound of the guitar. Doing so alters the geometry of the instrument in such a way that it increases its warmth and overall power. The bass gets deeper, and the guitar becomes more responsive to player input. Scalloped bracing furthers this enhanced bass boom and dynamic responsiveness. Essentially, the master artisans at Martin scoop out the middle of the strips of wood used for bracing, giving the braces a contoured look. Scalloping braces allows luthiers to maintain enough rigidity to keep the guitar structurally sound while reducing overall mass, which in turn liberates the top to vibrate more! The end result? More sustain, volume, and bass response! 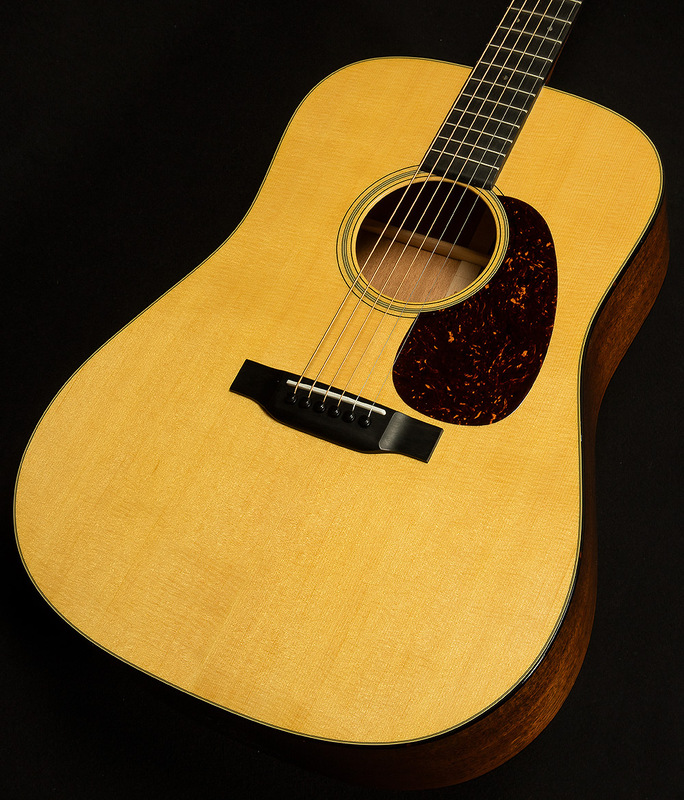 As you can see, the Martin D-18 is braced to allow for maximum low-end fullness and volume while simultaneously making it more responsive to right-hand dynamics. So, you get a guitar that sounds great when you strum bluegrass tunes as loud as you can AND when you’re doing some sensitive flatpicking (or even fingerpicking!) to accompany a singer-songwriter. Hopefully by now, you have realized two things: that the Wildwood staff has a deep and abiding love for the D-18, and that it is a simple, elegant guitar with no weaknesses. It can cut through a mix when used for leads or provide a solid rhythmic foundation when used for chordal work. It can project well enough to excel in live situations, but recording engineers also love it for its sculpted frequency response. It’s responsive enough to fingerpick on, but it can also handle aggressive strumming with aplomb. Furthermore, its clear, balanced voice sounds at home in almost any musical context. We are proud to present an instrument that continues Martin’s storied dreadnought tradition, and we know the D-18’s timeless sound and superior playability will inspire you throughout all your acoustic adventures.